Do you have big plans for your organization and now just need the funds to get the ball rolling? 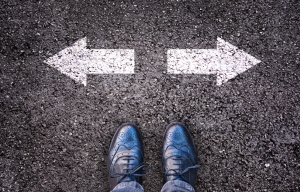 We covered the different types of grants here – foundation and government grants – but how do you know if your organization is ready to jump into the grant writing process? 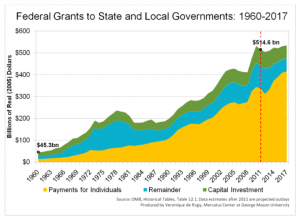 The competition for grants can be fierce, and most of the time there are more organizations applying for grant money than there is money available to award. Some numbers show that as low as 7% of organizations receive funding after submitting a grant proposal. Are your organization’s leaders engaged and on the same page? Do you have a Board of Directors who is actively meeting and contributing their time and talent to the organization? Funders might ask for a list of the Board members, their attendance, previous Board meeting minutes (especially noting if this new grant program was discussed), and percentage or amount that Board members give. If you’re concerned that your leadership may not be up to par, check out our Board Development services here. Do you have a clear mission, vision, and goals for the future? Make sure your organization has laid the proper foundation of your purpose, so that you can best communicate who you are. This also helps ensure that there is good alignment between your organization’s purpose and the funder’s goals. Do you have policies and procedures in place to ensure proper accounting of funds? It’s vital to have accounting practices and systems in place to make sure that any funding you receive is properly used and tracked. Funders may want to see a good track record of managing other funds. Do you have a clear organizational budget that outlines your operating expenses and supports why you need additional funds? Funders want to know how will you use the money you receive from grants. They may want to see your organization’s full budget to determine how much of this grant will support the organization. Is this a large percentage of the organization or a small percentage? Do you have a plan for the next 3-5 years? How does this service or grant program that you are seeking funding for support your plan? You’ll need to work with your staff, partners, and stakeholders to evaluate the current position of your organization and set a plan for achieving short- and long-term goals. If you’re having trouble figuring out the direction of your organization, take a look at our Strategic Plan services here. We may be able to help! Do you have a track record of accomplishing your goals and doing what you say you will do? Everyone wants to be on the winning team, right? 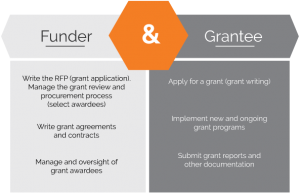 When applying for grants, funders want to know that you are a reliable partner. Do you have sufficient capacity (staff, infrastructure, and resources) to manage the program or services if you receive the grant funding? Before taking on more funding, you have to make sure that you have the capacity to handle it. For example, if you’re asking for funding to expand a particular program then you need to show your current staff or facility can handle it. If you don’t have the current capacity, then determine what you need to get there. After completing this grant readiness checklist, you might determine that you are not ready yet. Applying for grants takes time, resources, and focus. 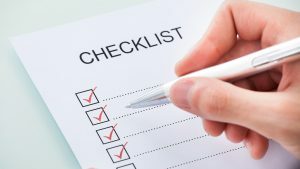 It might be a better use of your time to work on one of the checklist items identified above. In the meantime, you can seek other funding to support your organization while you work on these items. Check out our fund development services and blogs for ideas of other resources to support your work. Contact us for help in becoming grant ready!